Sometimes one of the most difficult things in photographing a musician is working with the available light. Often what the artists may envision will look great for a performance and what the photographer is trying to achieve may not always be in the same realm of possibility. Regardless of vision most musicians are not photographers. In addition sometimes persistence by the photographer can pay off. In early November 2012 I found myself in a low light situation that was not exactly ideally suited for photography. 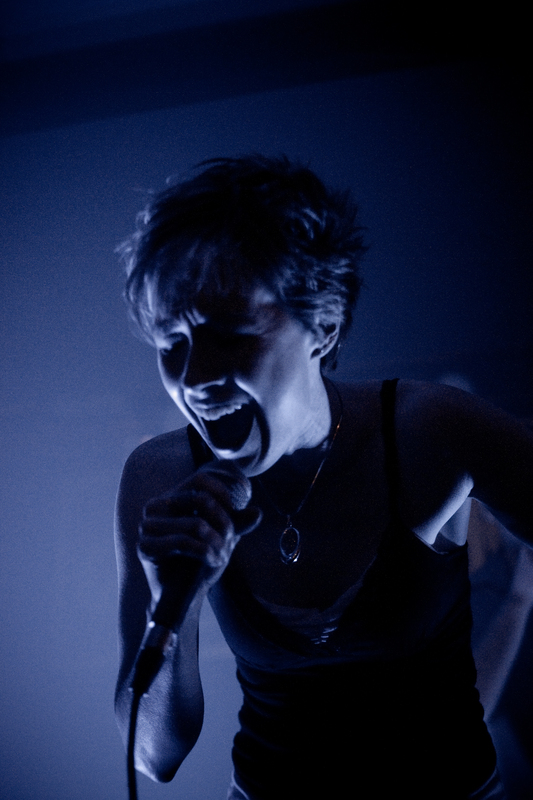 However as I continued to photograph the band Sinfinis, I must have dazed the vocalist, Mary Elizabeth, with my constant pacing in the front of the stage, enough so that she slowed down enough that I could take this photo at a fairly slow shutter speed.